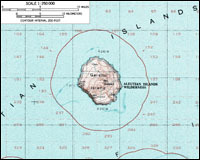 5160 ft (1573 m) . 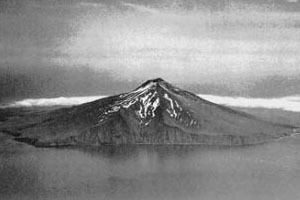 Gareloi is a small stratovolcano about two-thirds of the way out in the Aleutian Islands, with the volcanic cone occupying the entire nearly-circular 6 mile (10 km) wide island. Gareloi remains quite active, and more than a dozen eruptions have been recorded since the mid-18th century. 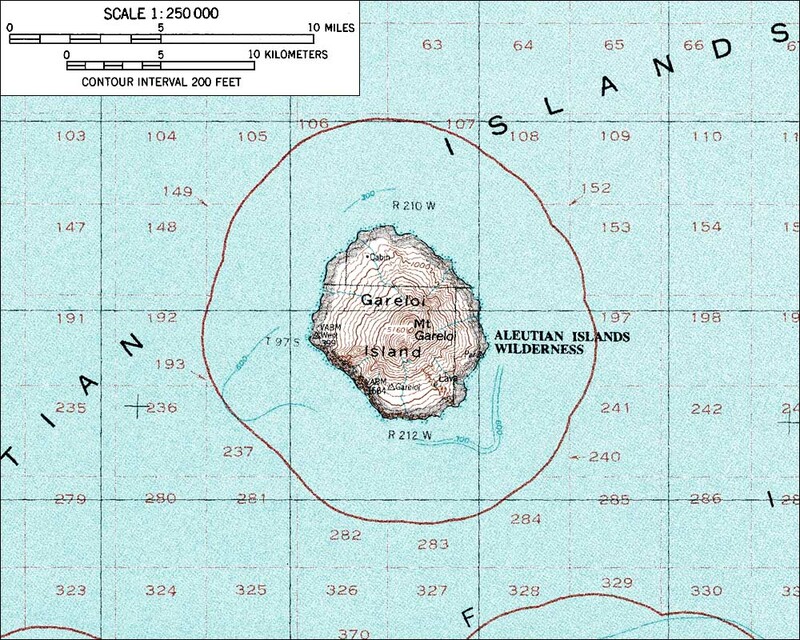 There are no protected harbors along the shore, so Gareloi is rarely visited and landing a boat on the beach is likely to be difficult except in optimum weather conditions. But the lure of a spring ski run of nearly a vertical mile straight down to the ocean shore should be enough to entice some intrepid adventurers.